if you’re the super last minute valentine, you can still pull off a sweet treat before tonight. for about $5 and 5 minutes, you can pick up a $2.50 package of strawberries and buy about $2.50 worth of dark chocolate wafers/chips form the bulk foods section and whip up these delicious chocolate covered strawberries. wash the strawberries thoroughly, and fully pat dry with paper towel. 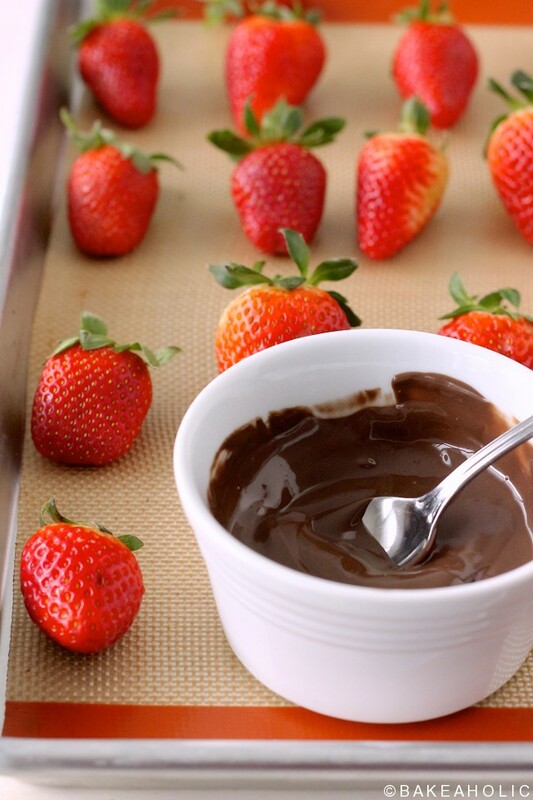 melt dark chocolate in small dish in microwave. 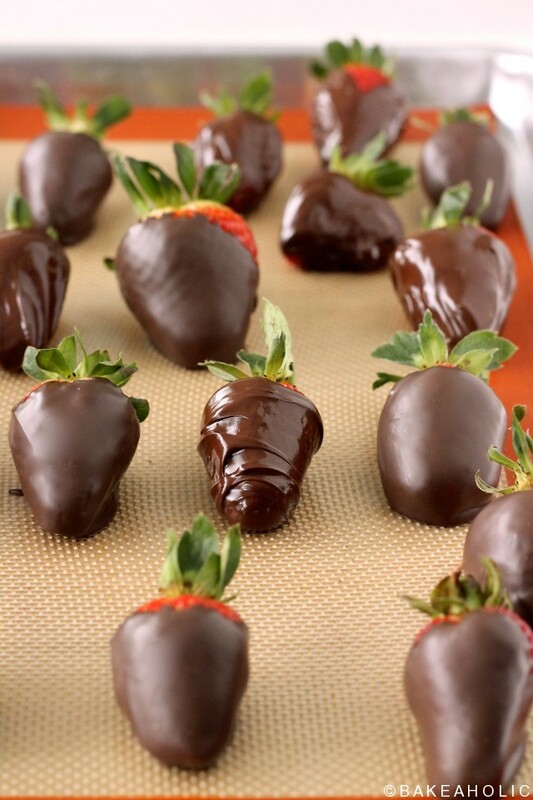 carefully dip the strawberries in the chocolate, and lay on silpat or parchment paper to set. you can leave them on the counter or chill in the fridge to quicken it up. anyone would be happy to receive these little gems, and they pair perfectly with champagne or red wine.